EL SEGUNDO, CA (September 8, 2015) − Landmark Dividend LLC, one of the nation’s leading ground lease acquisition companies, has redesigned its website to reflect its expansion into new asset classes and business-to-business markets, and the company’s commitment to better educate the marketplace about all aspects of the ground lease acquisition industry. Earlier this year, the company announced it was seeking to acquire ground leases for solar farms and fiber optic networks. 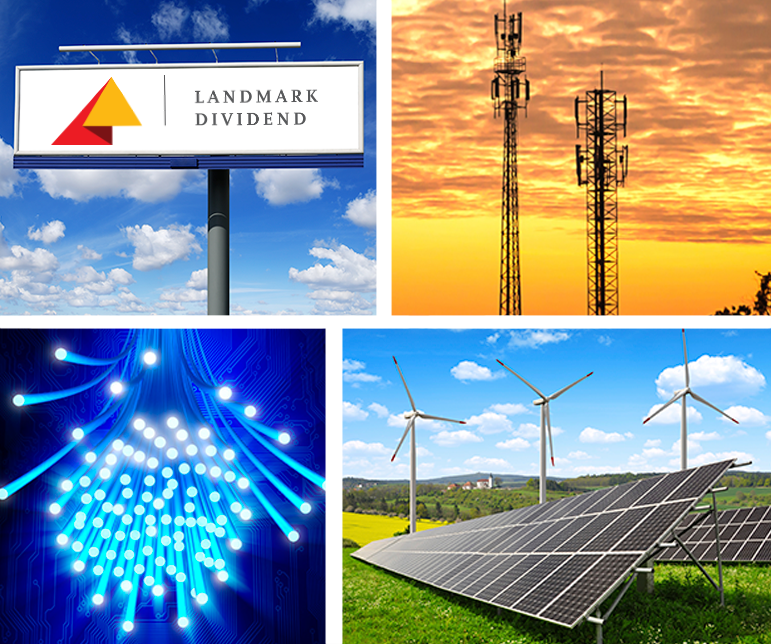 Landmark Dividend also acquires ground leases for cell towers, billboards and wind turbines. “This was the perfect time to revamp our web presence with a new site that reflects the current and full scope of our business, including new B2B efforts with our channel partners and enterprise customers. We also gave the website an updated look and made it easier for users to navigate,” said Bruce Rosen, EVP of Global Sales and Marketing for Landmark Dividend. Property owners with ground leases can submit their information on the website for a free, no obligation evaluation of their lease. Business customers interested in asset capitalization, billboard development, becoming a channel partner or seeking site marketing services can also submit their information on the website.